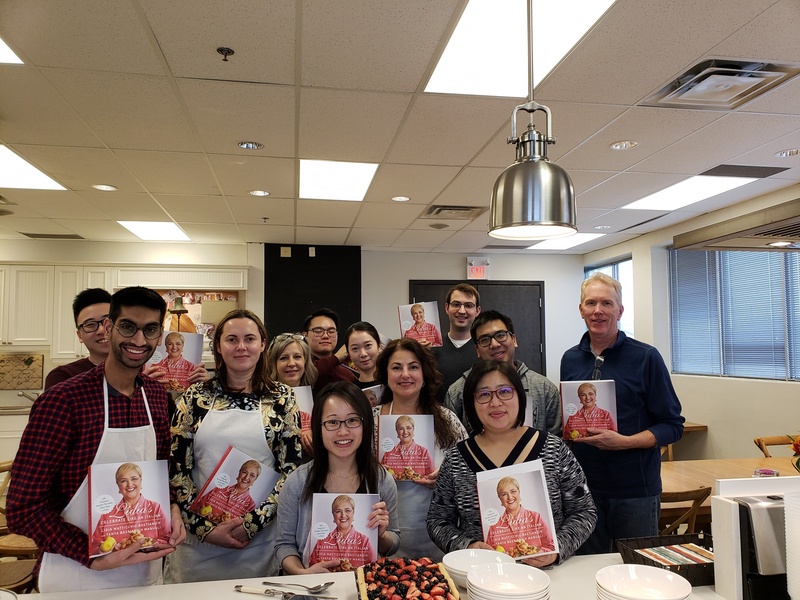 What better way to bring a team together than the international language of food! 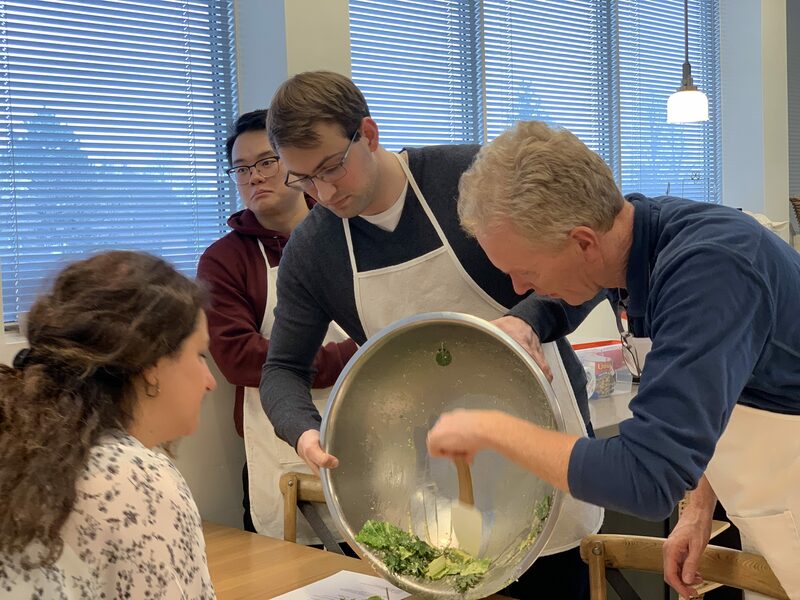 Our 12 staff members divided up into two teams for a SYC culinary face-off. 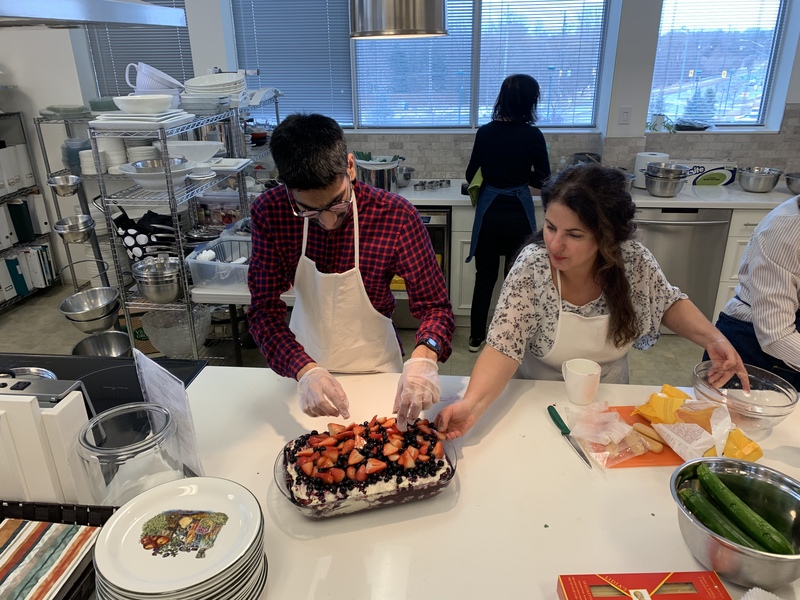 Each team had to make a meal with recipes taken from Lidia Bastianich’s cookbook “Celebrate Like an Italian”. Who won? We all did! 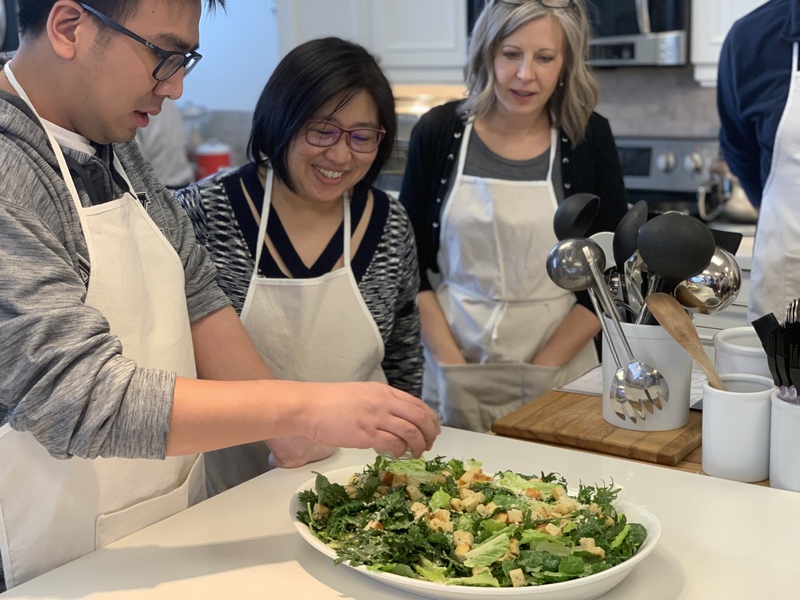 This unique and fun activity taught us much more than who could cook faster or whose dish was tastier. It also taught us more than what foods we like, don’t like or can’t eat. Won were the invaluable lessons of delegation, trust, creativity and team collaboration. 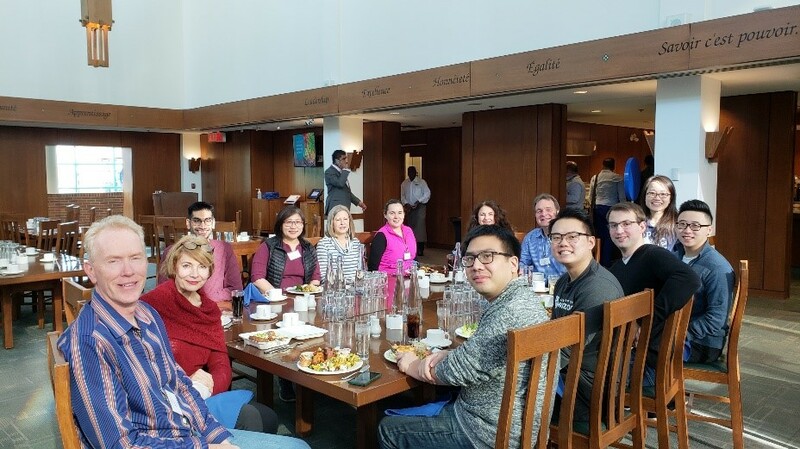 Enjoying the awesome meal that we all contributed to was a great reward for our hard work – as was a copy of Lidia’s book! Thanks to Village Grocer and special shout out to our fearless leaders, Linda and Karen, who organized everything so well for us! We are proud of our team approach at Scarrow Yurman & Co. To further facilitate this mindset, we embraced the open concept work space in 2018. However, for us tearing down walls didn’t stop with the drywall! 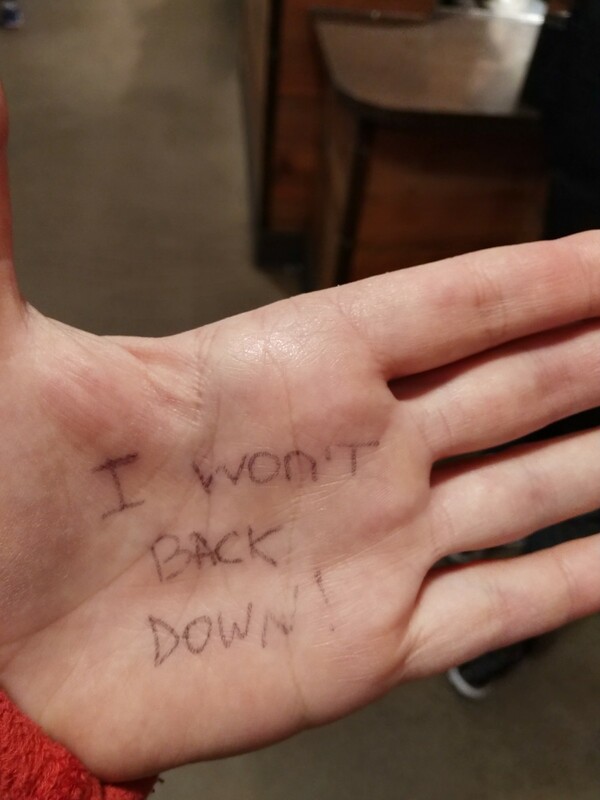 At this Working With Teams conference we were taught how to identify and tear down ideas about communication that simply don't contribute to strong teams or relationships while opening up to new ways and approaches in team building. These invaluable lessons learned will go a long way to ensure our team skills stay strong and our relationships move forward. Many thanks to Jim Knowlton for spearheading this awesome event! 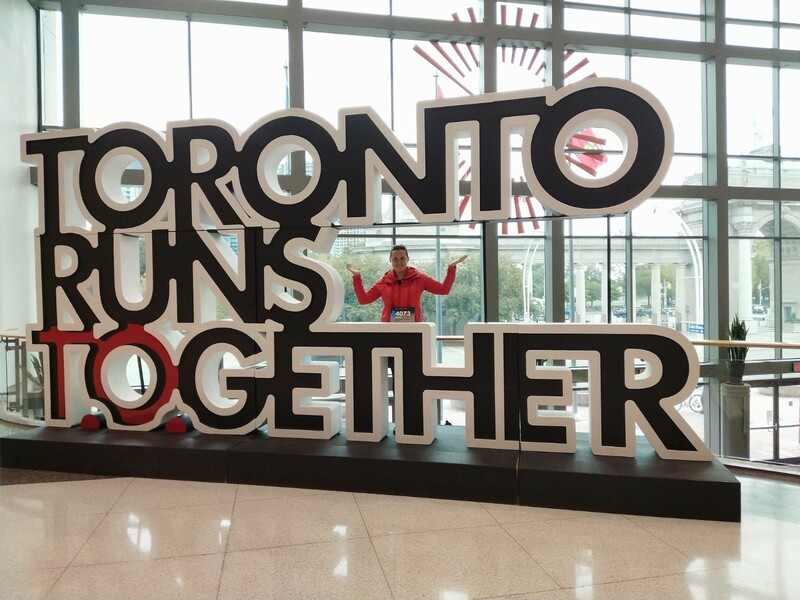 It all started with the Scotiabank Toronto Waterfront Marathon of 2014 when I completed my first marathon. 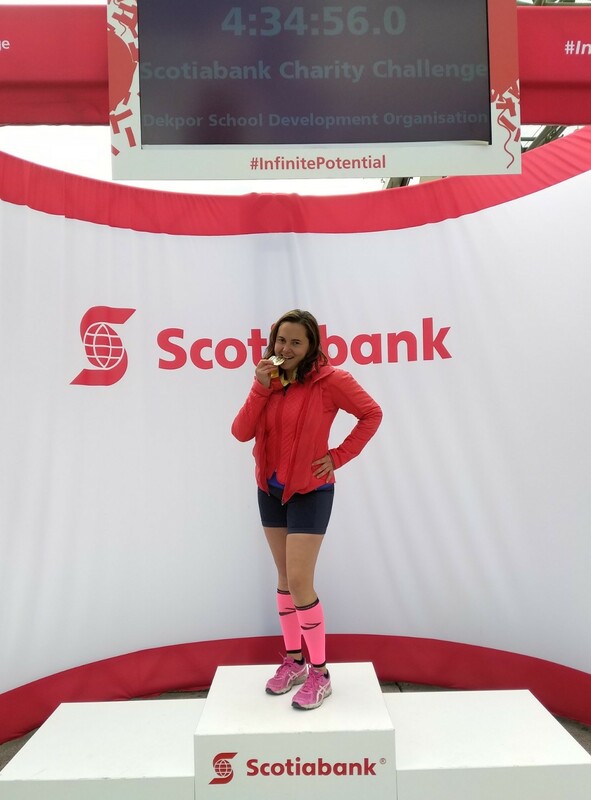 This year I am pleased to have completed my 7th Scotiabank marathon! I was happy to finish the course despite the recent cold, chilly weather – which normally I would welcome while running 42.2 km. Since my last four marathons were outside of the country, I really enjoyed running again in Toronto. Having a personal best was not the objective for this run (not even close, given the lousy training schedule that I barely maintained). In fact, I found that being less focused on my watch and more present in the run allowed me to take in the many interesting changes in the city. The first half of the run flew by as I ran with Ina – the best running buddy and pacer ever! We saw the elite crew on Lakeshore and enjoyed great entertainment on the course. While Ina took the turn-off for the ½ marathon finish line, I was left alone with my iPad and my thoughts to complete what to me was the hardest part of the run: form 34th km to 42nd km. In the distance I could see some runners on their 39th km while I was still on my 27th km. I wondered if I would ever be able to run that fast! Determined not to back down, I made sure to run along the streetcar tracks of the 501 Long Branch route – the one displayed on the Finisher medal which I later received. That was cool, as only the full marathon route goes through those tracks. While the last 500 meters of the race were accompanied by chilly, strong wind gusts, the cheering crowd made it feel a lot warmer! What made this marathon especially meaningful was my fundraising efforts for the Dekpor School Development Organization. Many thanks to all who supported me in helping fund this amazing organization! 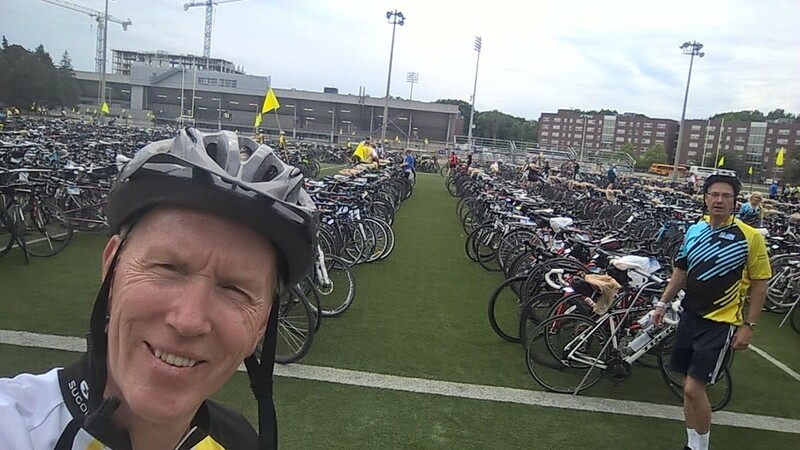 On June 9 and 10, 2018, Mark Scarrow participated in the 11th annual Enbridge Ride to Conquer Cancer benefiting Princess Margaret Cancer Centre (PMCC), one of the top 5 cancer research centres in the world. 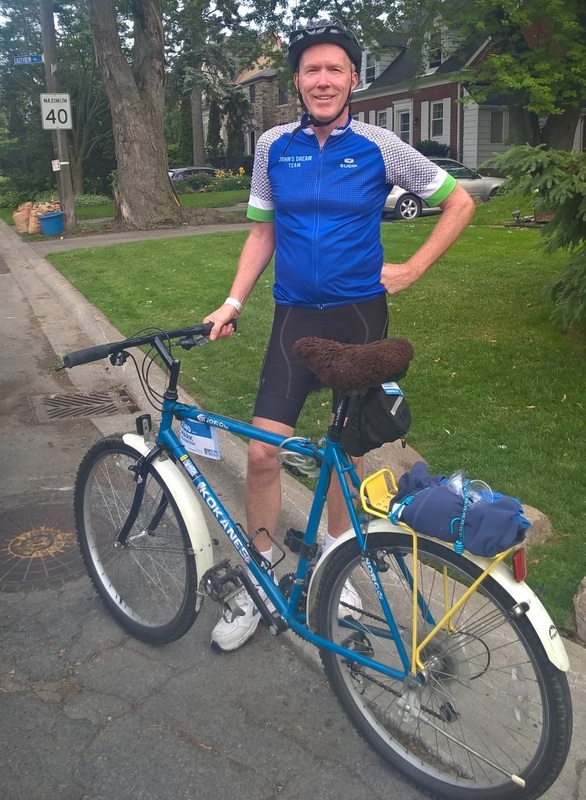 Mark was one of the 15 members of “John’s Dream Team” who cycled over 200 KM from Toronto to Niagara Falls to honour John Davison who is a heroic cancer survivor and all-around great guy! 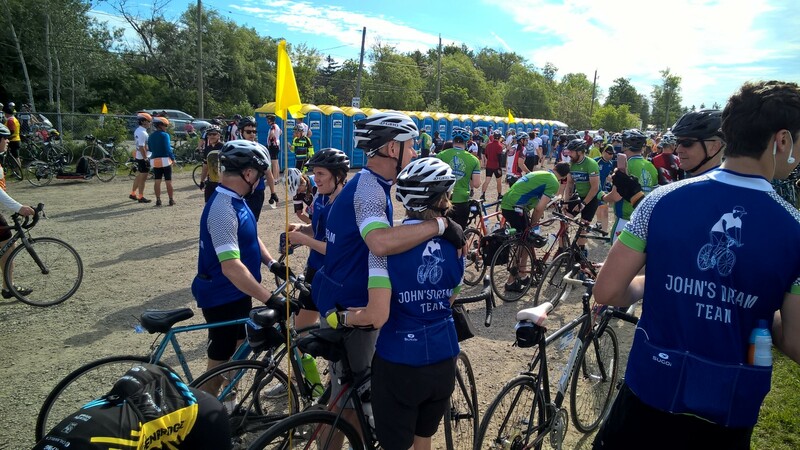 Together their team raised $62,397.87, while the entire event raised $18.3 million dollars. 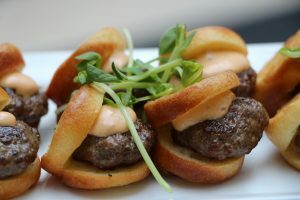 All the proceeds will go to PMCC to support cancer research, treatment, and services. 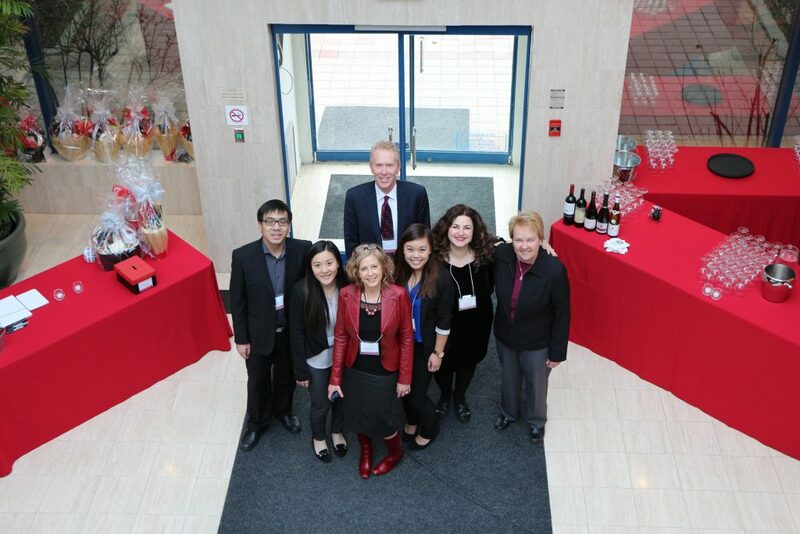 The PMCC is Canada's leading comprehensive institution devoted to cancer research and care. Many thanks to all Mark’s generous supporters for sharing with him in this incredible and successful initiative! 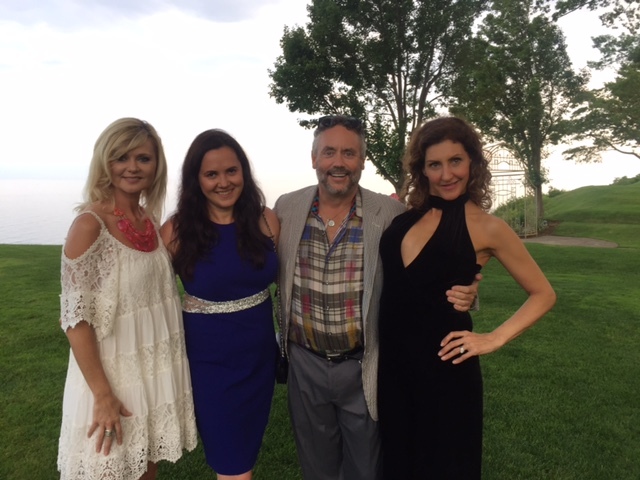 Scarrow Yurman & Co. were privileged to be one of the many sponsors for this years Michael Garron Hospital Foundation’s 9th Annual Food and Wine Celebration held at The Toronto Hunt Club. 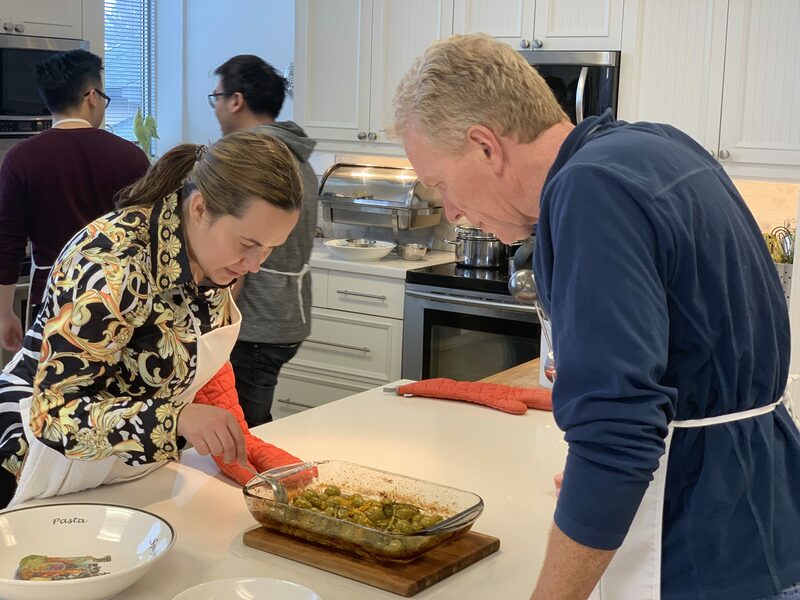 Our partners, Mark and Milla, enjoyed a lovely evening sampling Canadian wines, exquisite food from Chef Michael Stadtländer and meeting other generous sponsors. The evening proceeds supported an expansion project at Michael Garron Hospital in east Toronto. Also, every dollar raised was matched through a $50 million pledge from the Garron Family. It felt awesome to be part of such a lovely evening that would do so much good in our community. Scarrow Yurman & Co. has been a long-standing member of the Markham Board of Trade (MBT). In fact, for 10 years Mark Scarrow had the privilege of co-hosting the Thursday morning networking breakfasts. 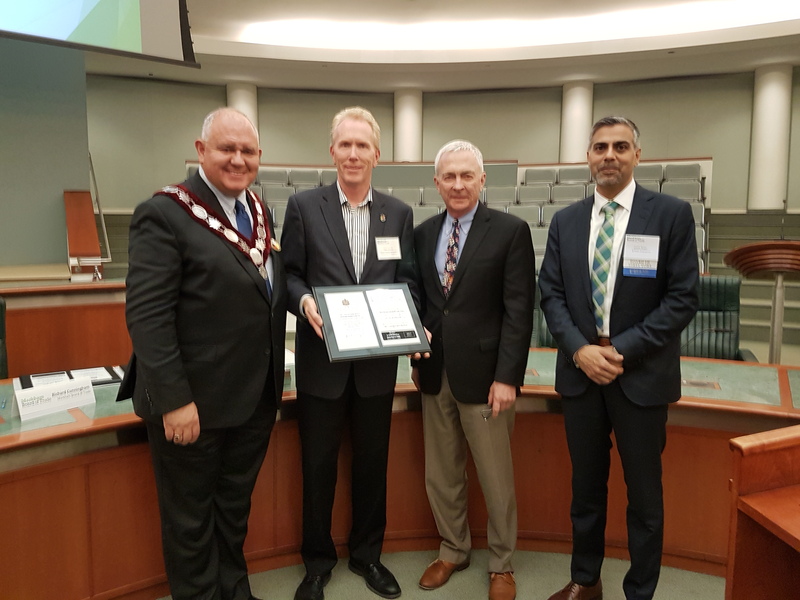 Recently, Mark was invited to the MBT’s Annual General Meeting held at the Markham Civic Centre to receive recognition in honour of the firm's 25 year membership. This was quite a milestone! MBT recognized it’s own milestone in 2016 when it celebrated 35 years in business. 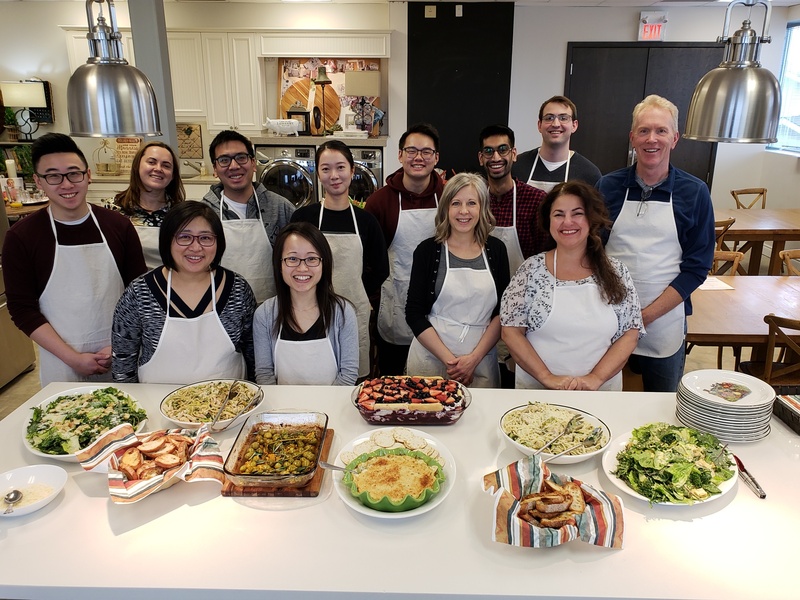 We are grateful for all the support from MBT as it continues to promote community, commercial and industrial growth as well as advocate on behalf of businesses in the Markham area. We were both excited and privileged to attend the Pri-Med Canada medical conference this month as an exhibitor. 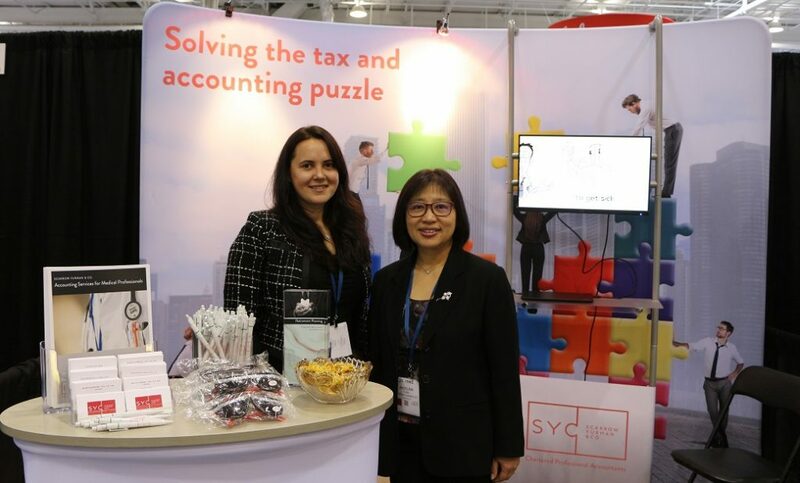 Our booth may have “puzzled” certain passersby, but it was a wonderful way to begin the dialogue of exactly how Scarrow Yurman & Co. could help solve the tax and accounting puzzle. Many enjoyed viewing our short animations on how we are striving to appreciate our healthcare professionals unique financial challenges and how we can help plan for their retirement needs. It was our pleasure to meet many of our hard-working healthcare professionals as they stopped by our booth. The benefit of this dialogue was, at the very least, two-fold. Many that stopped by our booth were encouraged as we explained our current experience in actively and successfully supporting many local healthcare professionals. The many conversations we had also helped us get a better understanding of their most current financial concerns - from a variety of perspectives. We are definitely taking to heart what we learned from this group of medical professionals and will continue to work hard to address their unique needs. We look forward to following up on the interest shown and hope many take us up on our offer of a one hour complimentary consultation. We look forward to being an exhibitor again in 2018! It’s hard to believe yet another year has gone by since our last personal tax season! Our staff worked very hard to successfully meet the April 30 deadline. 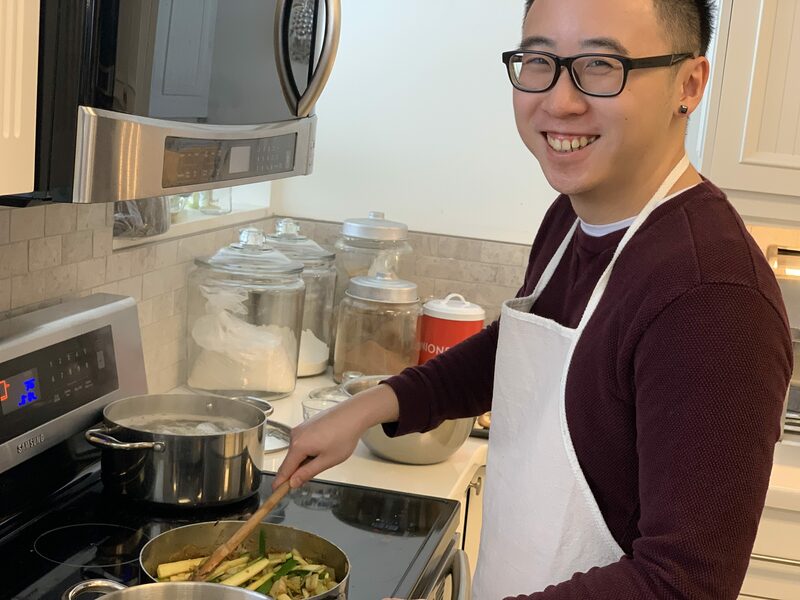 This year we welcomed two new co-op students (David Shu and Nicole Yap) to our team. 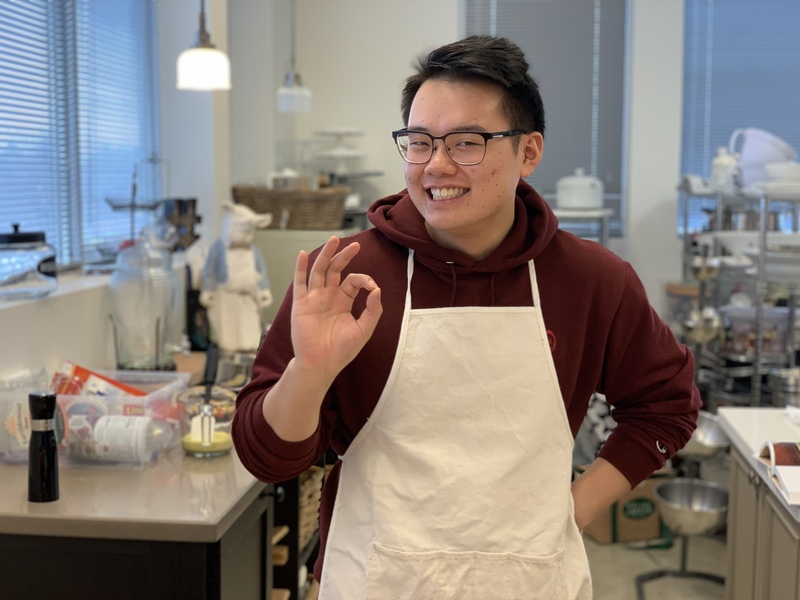 We always enjoy the energy and fresh perspective of our co-op students. They learned a lot, and were a huge help during this busy season. We were also pleased to integrate Citrix ShareFile software into our process this year. ShareFile is an extremely efficient way to share secure documents with our clients. Many of our clients commented on how easy it was to use. 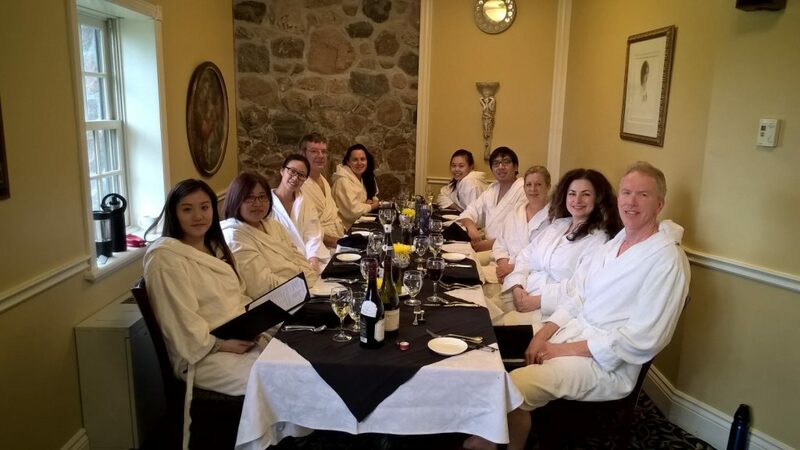 This year our staff appreciation day was spent enjoying a calming retreat at the award winning Millcroft Inn & Spa, located in Caledon, Ontario. 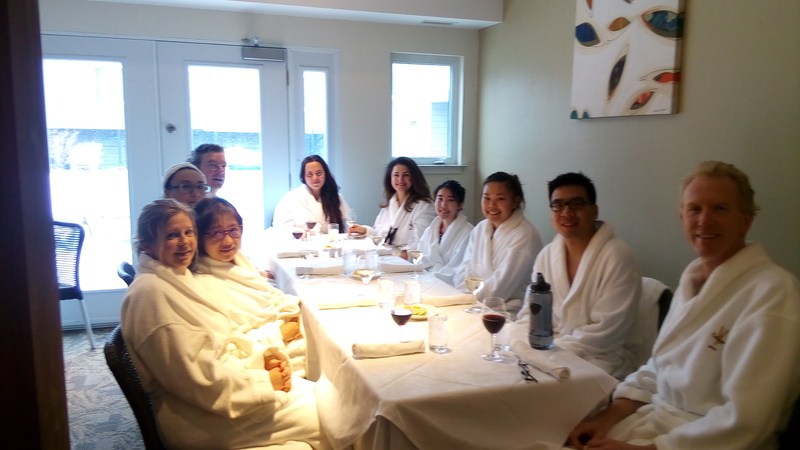 The outdoor hot springs was a big hit with our staff. It was the perfect way to soothe the soul after working long days and weekends in March and April. 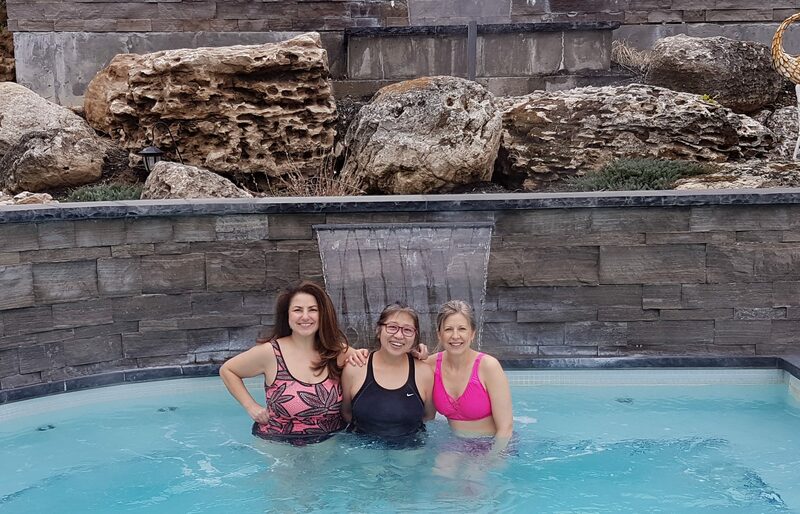 There were a few who also braved the polar plunge pool in between sessions in the hot springs. What a wonderful way to get the blood moving and de-stress. Thanks again to our hardworking team for another successful personal tax season! 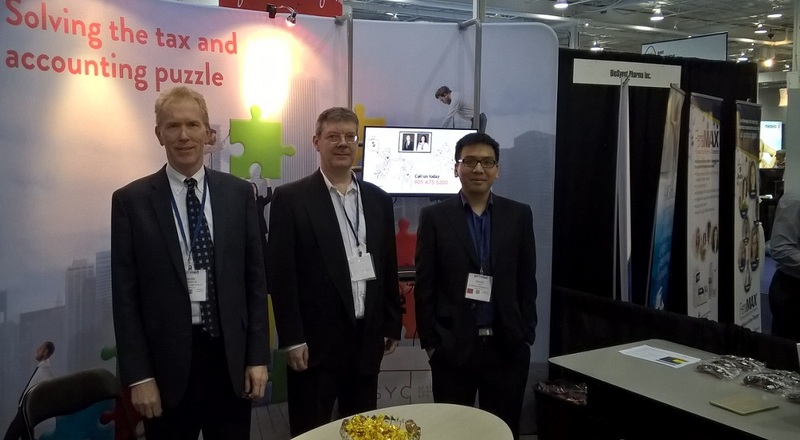 We enjoyed attending the recent Veterinarian Conference at the Toronto International Centre this past October. This event was chock-full of continuing education sessions, workshops, and industry specific exhibits. 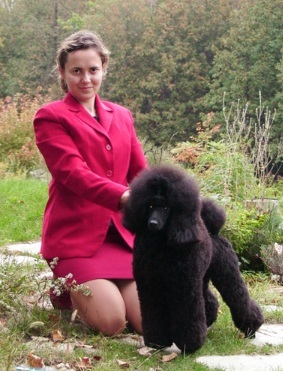 With Milla Yurman (partner) being a breeder/owner of award winning miniature poodles, this group of professionals are near and dear to our hearts! We were privileged to speak to a group of Veterinarians and Technicians on Saturday morning on the topic “Your Veterinary Accountant – Keeping Your Business Healthy, Wealthy & Wise”. Our one hour symposium highlighted issues around performance measurement, tax efficiency and budgeting. We enjoyed many lively discussions that weekend and were pleased to answer many questions these professionals had about tax. Many took a handout that we prepared specifically with Veterinarians in mind. We definitely look forward to following up on the interest shown and to be presenters again in 2017! Finding balance with the demands of professional and personal life can be a challenge these days. This is especially true for Chartered Accountants during personal tax season! We really appreciate how our staff goes the extra mile during those months to meet deadlines and to ensure that our clients are well taken care of. Therefore, to show our appreciation we enjoyed a special retreat together at Ste. Anne’s Spa in Grafton, Ontario. The day at Ste. Anne’s Spa was time well spent. Whether it was Heat & Hydrotherapy, Massage or Esthetic treatments, we all left that evening invigorated and ready to face the world again. Thanks again team! In March of this year, Scarrow Yurman & Co. hosted a reception to introduce our new name and new branding. 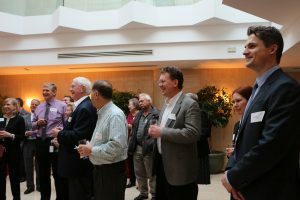 The turnout to our landmark event was fantastic! 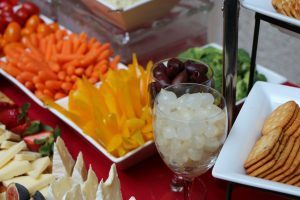 We greatly appreciated spending time with our clients and friends and they enjoyed getting acquainted with each other as we all indulged in many savory Hors D’oeuvers provided by our caterer. 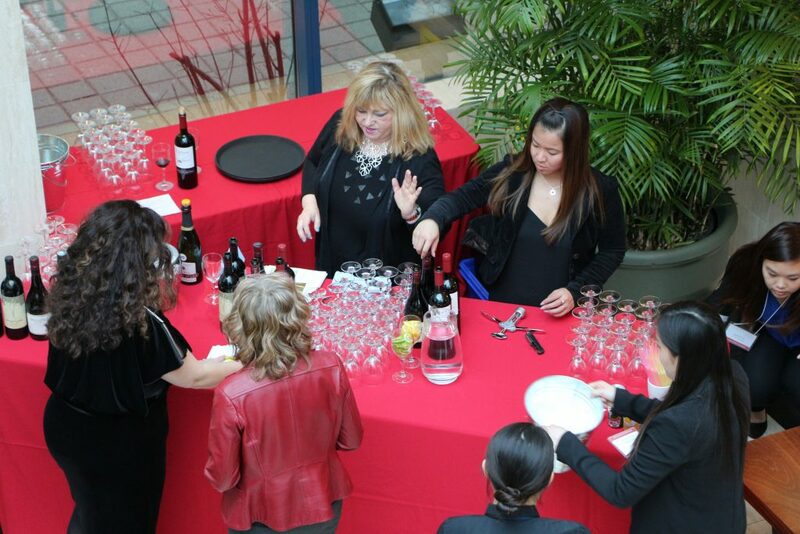 Many of us also enjoyed perusing our Wine Tasting station. Wines from the Alsace region in France and also some wines from California were highlighted and sampled. 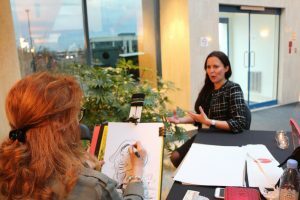 One of the highlights of the evening was visiting our professional Caricaturist and Graphologist stations. Many were memorized by these two artists and it made for interesting conversation and many happy memories. 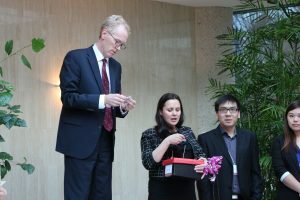 As the evening drew to a conclusion, we raffled off door prizes as thanks to our loyal clients and friends. Our sincere thanks to all who participated and attended. This event was a smashing success!